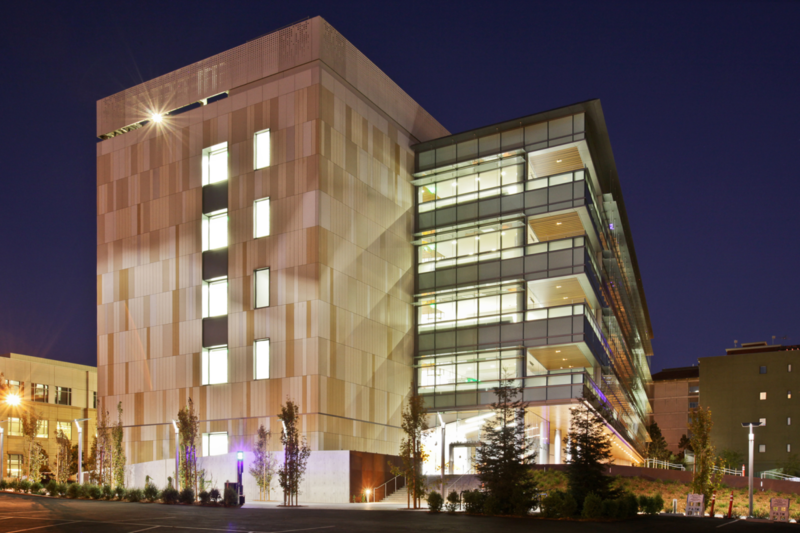 UC Berkeley Helios Energy Research Facility | Inspection Services, Inc.
ISI provided special inspections and materials testing for this LEED-certified, Alternative Energy Research Facility and Energy Bioscience Institute. The building is five stories plus basement and approximately 113,000 gross square feet. The building structural system is a steel frame and a mat slab foundation. The project houses wet laboratories for molecular and microbial biology, fermentation, and chemical separation, as well as greenhouses, warm and cold rooms, shared instrumentation space, offices, workrooms, and conference space. The completed project brings together staff members that were scattered in different buildings across the campus. Located near the Lawrence Berkeley Laboratory on the Berkeley campus, the facility replaces an abandoned Eisenhower-era institutional building. The east half of the property was transformed into a modern, accessible space in keeping with the City of Berkeley’s goals for downtown renewal. Among other improvements, it offers neighbors a public park-like area on the south, as well as a wide pedestrian pathway reconnecting Walnut Street.